Even the smallest businesses are starting to realize – document security matters. Looking for a smarter printer? You’re going to want to check out the Xerox® VersaLink® C400 Color Printer. Want to scan AND copy? Xerox® VersaLink® C405 Color Multifunction Printer. Information security is a priority for every size of business. 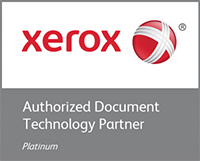 It’s why so many businesses count on Xerox® ConnectKey® Technology to protect themselves. And it’s why the Xerox® VersaLink® C405 is the smartest printer you’ll find. Get in touch with your dealer to find how it can improve your productivity, mobility and security.